We spend so much time moving between work and social events, running errands and commuting, that we don’t spend all that much time at home anymore. But having a place that is an escape from all of the craziness, a place where you feel truly relaxed, is important. 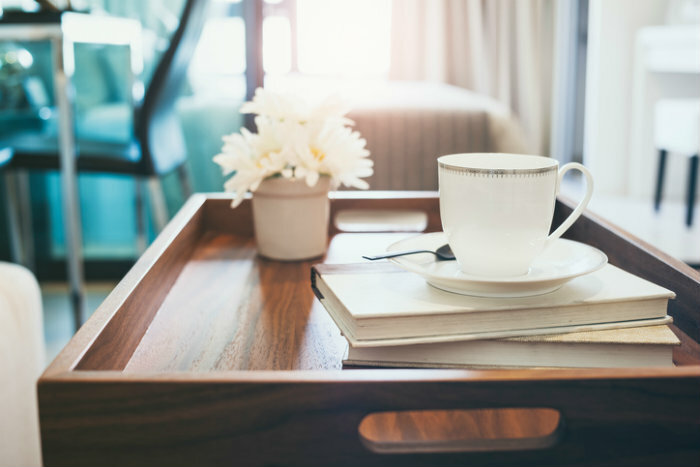 So, here are three ways to make your home a place you want to spend time at, and a place you can really leave feeling rested, recharged and relaxed. Spending a few hours deep cleaning and re-organizing your home may seem like the opposite of relaxing right now, but in the long run, it will be well worth it. Think about it: if you’re coming home every day to dirty dishes filling the sink, a stack of mail waiting, and clutter on every single visible surface, you’re probably not going to feel very relaxed. But taking a couple of hours now to tackle all the big tasks and to find everything you own, means that from then on out, it’s just maintenance, or the easy part. And once you lose that overwhelmingly stressful feeling of walking in the front door to a 10-page long “home” to-do list, home will begin to feel like a much more relaxing place to be. It’ll be somewhere you’re excited to come back to. It can be tempting to forgo investing money and time in home décor and accessories. And while I’m definitely not advocating for taking on debt to decorate your home, I am a strong believer that money spent on home décor is money well spent. Filling your home with things that are an expression of your personality and preferences, can make it feel like a place you want to be. It can be the quickest way to ensure that you feel recharged every time you’re there. So next time you’re wandering around Target, look for some pretty prints, cozy blankets, or yummy scented candles to add to your home that will make it feel more like you. And if DIY is more you’re speed, Pinterest has thousands of ideas for décor projects for every kind of room, space and style, so find some inspiration and get crafting! 3. Keep work out of it. Work is often cited as people’s number one stressor, and with the advent of smart phones, it has become harder and harder to leave work at work. But it’s so important for one’s mental health to take a break from those responsibilities. Your home will feel much more like an oasis and safe haven, if you make it a no work zone. Turn off your work phone, or at least disable notifications from all work-related numbers. Don’t check your work email, and don’t bring it home. If it’s possible, all work should be done in the office. This ensures that your home feels like a sanctuary, and is truly a place of peace. So try one, two, or even all of these things, and start making home a place of relaxation and restoration!